It is Winter here in the Pacific Northwest, which leaves me with limited photography options. 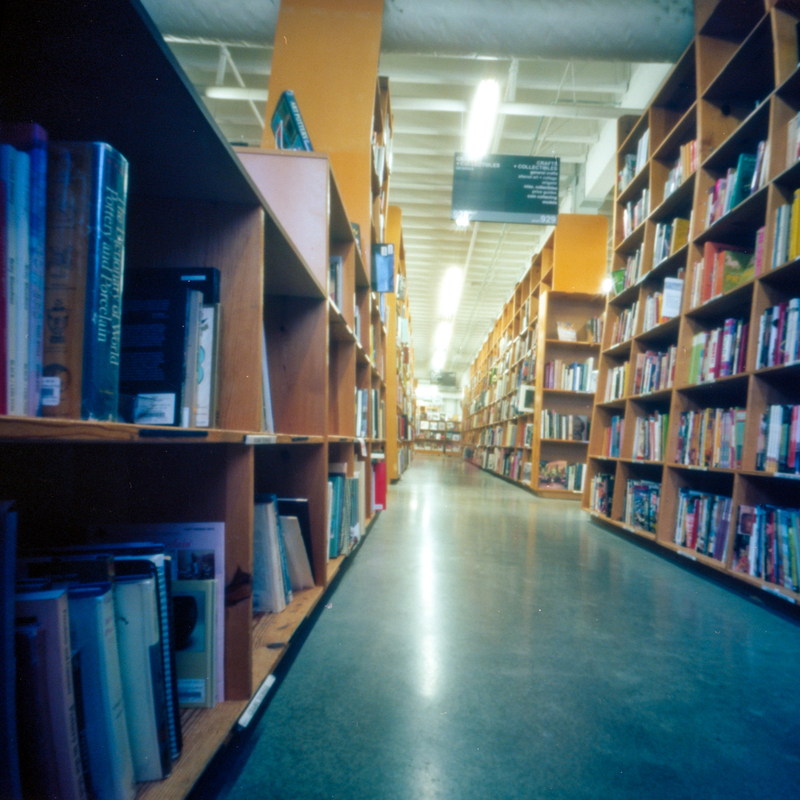 It occurred to me that I can show you one of my favorite places to visit in the winter, Powells Bookstore in Portland. To say that I love this place is an understatement. For Powells, my love is turned up a notch, to 11. I mean really. Books. ALL OF THE BOOKS. Do I really need to say more? 10 minutes in the Art Section. 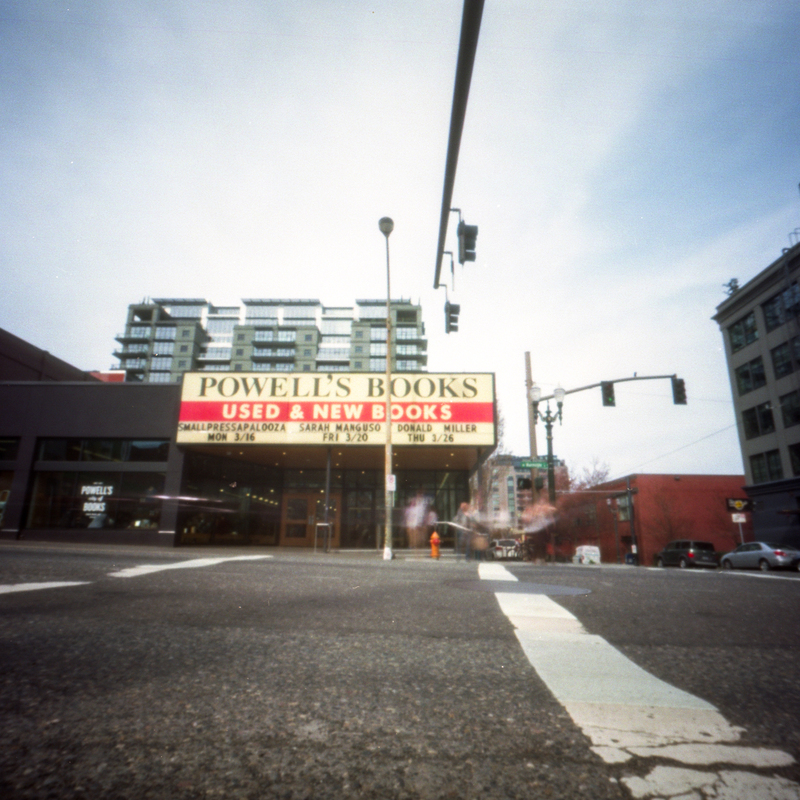 The first time I visited Powells was before I lived here. We were in town to visit my husband’s brother. He was showing us around late into the evening. At one point he said, “I’ve got to take you someplace. Monica, you will love this.” He took us to Powells. When I walked in the door I heard a chorus of angels. I’d reached Nirvana. Book Nirvana. Powells continues to be a kind of Nirvana for me. It is another one of my happy places. I love to come here by myself and get lost in the stacks and stacks of books. They have everything. And more. Find a section and browse and you will find books you didn’t know you needed to have. They also have the raddest rare book room as well. My favorite place in the store is the place where they keep the local and self published books. They have a wonderful collection of zines and chapbooks and I LOVE pawing through them, most of them hand assembled by their creators. What else can I say about this place? If you are in Portland (and a few of you will be in a week or so) you must visit it. Take your time there and enjoy. Get lost. Make sure you pick up a map at the front desk! 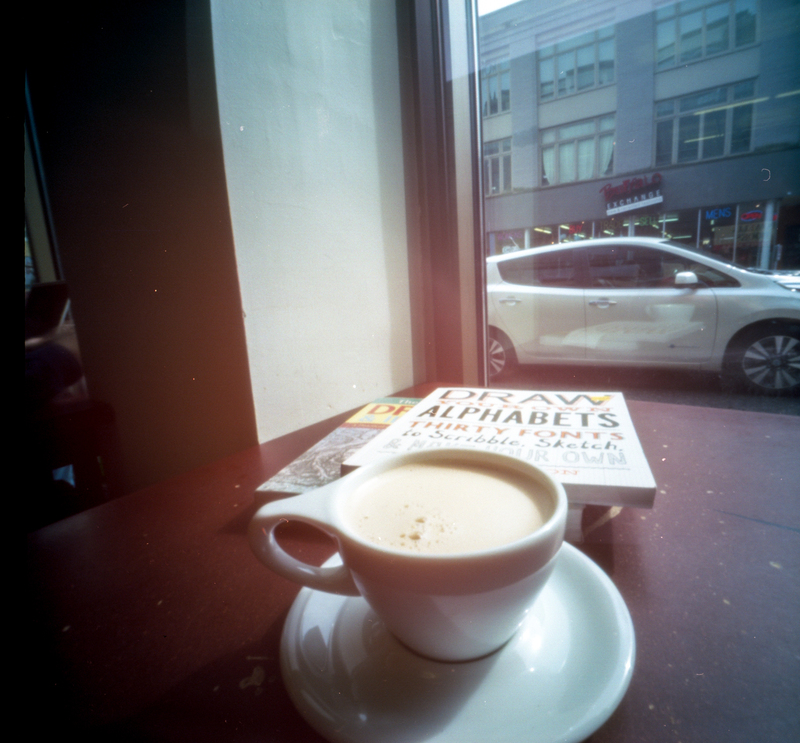 Pinholing my coffee and Powells purchase: quite possibly the most Portland thing I’ve ever done. 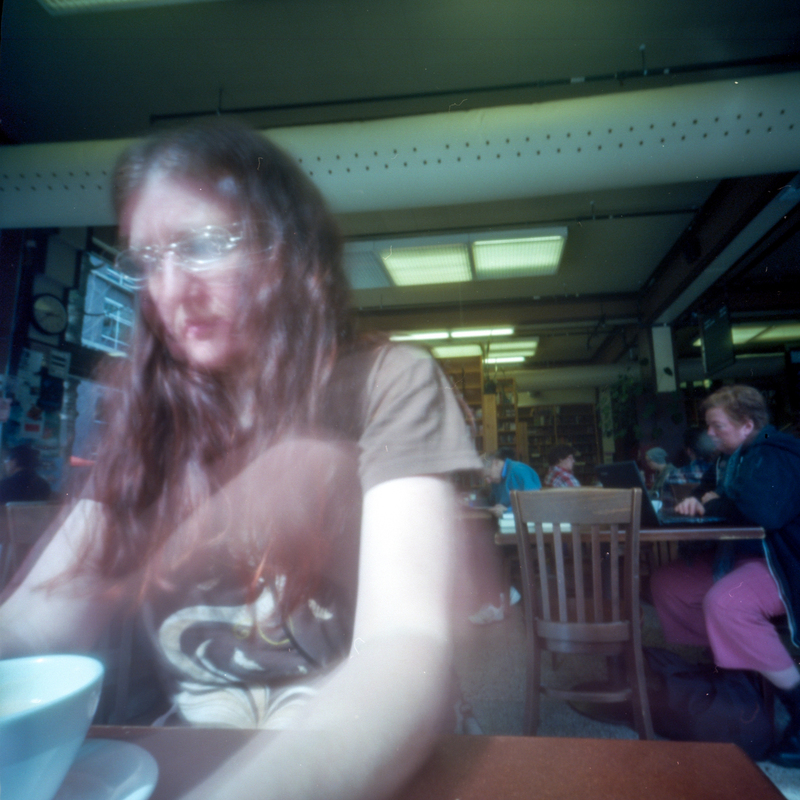 My latest post on Pinhole Obscura! Posted a couple of weeks ago. This is about one of my favorite places. Sometimes referred to (by me) as Nirvana.